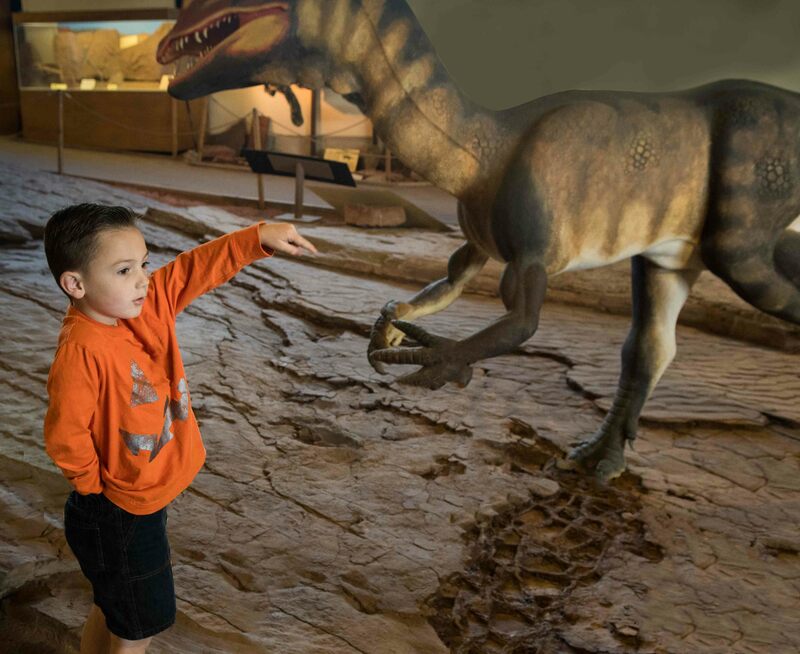 FEATURE — Representing a recent discovery of a remarkable past, the St. George Dinosaur Discovery Site at Johnson Farm offers visitors a glimpse at an early Jurassic lakeside habitat via a site uniquely preserved from volcanic destruction. 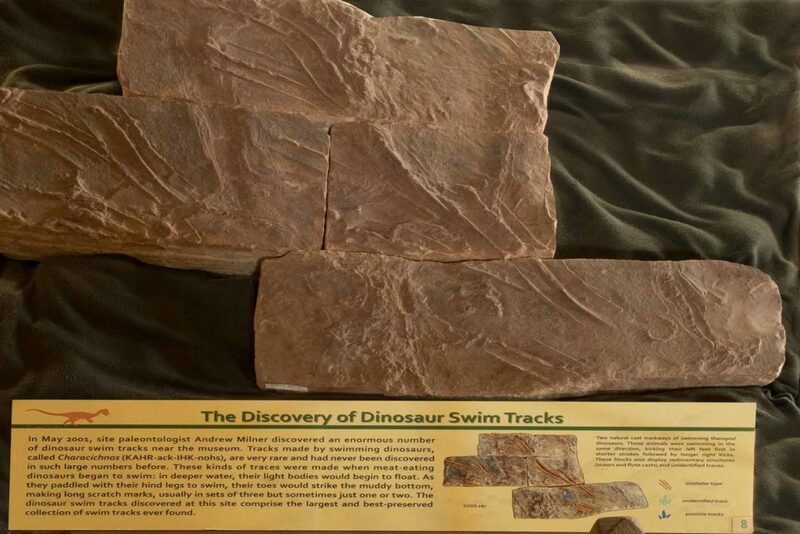 Displayed at this site are not only rare trackways of carnivorous dinosaurs but swim tracks and the fossil fish that dinosaurs consumed. Also displayed are plant fossils which rimmed the shoreline approximately 200 million years ago. When retired optometrist Dr. Sheldon Johnson purchased a farm and some land in Southern Utah, he originally envisioned it as a good way to teach his five sons some skills and work ethic. Even though he was in his 70s at the time, he was often seen on his tractor taking down a hill of dusty sand. However, on Feb. 26, 2000, all of that changed. On that day, using his track hoe and front loader to do the work, Johnson came upon a thick sandstone layer. The sandstone had to be removed if the land would be leveled, so he set to work. While lifting a block of the sandstone with his track hoe, the block fell and flipped over and exposed for the first time a natural cast. 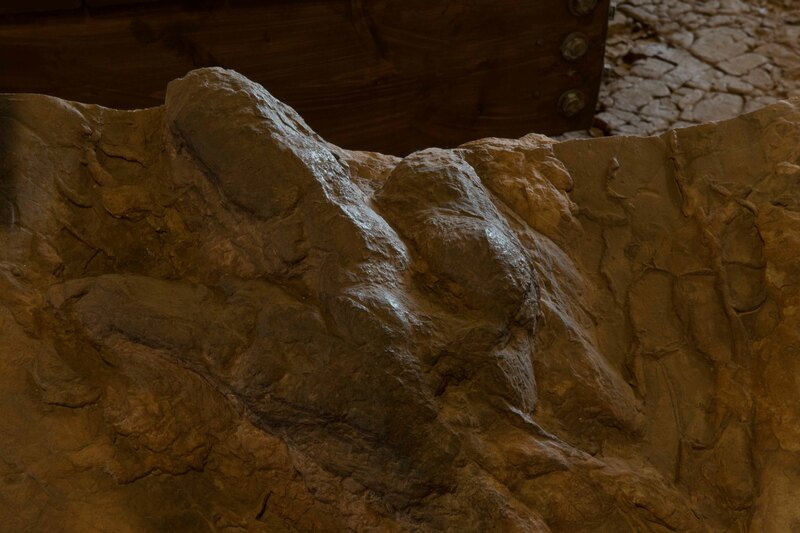 Scientists gathered at the Johnson Farm and found it was not actually a foot but a perfect and very rare casting of a dinosaur track. 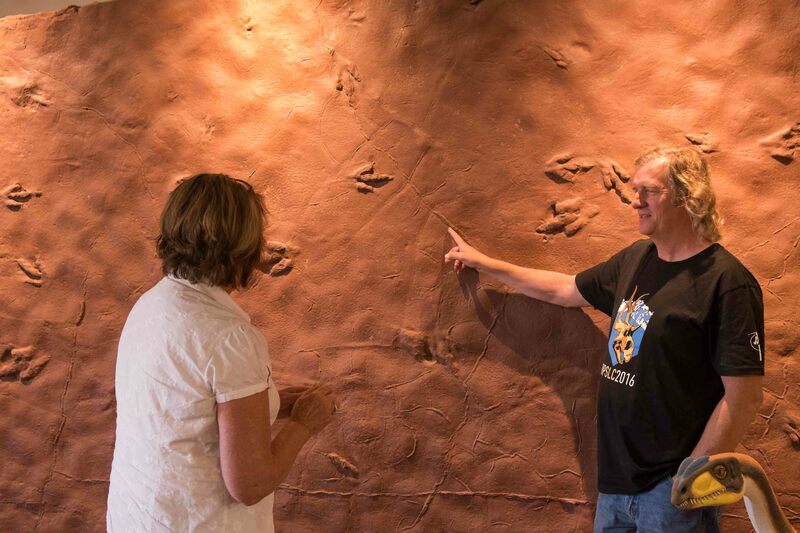 St. George paleontologist and the current curator of Dinosaur Discovery Site, Andrew Milner, also discovered fossilized swim tracks cast perfectly in the red mud stone. They are unique, Milner said, the only ones revealed to this date. 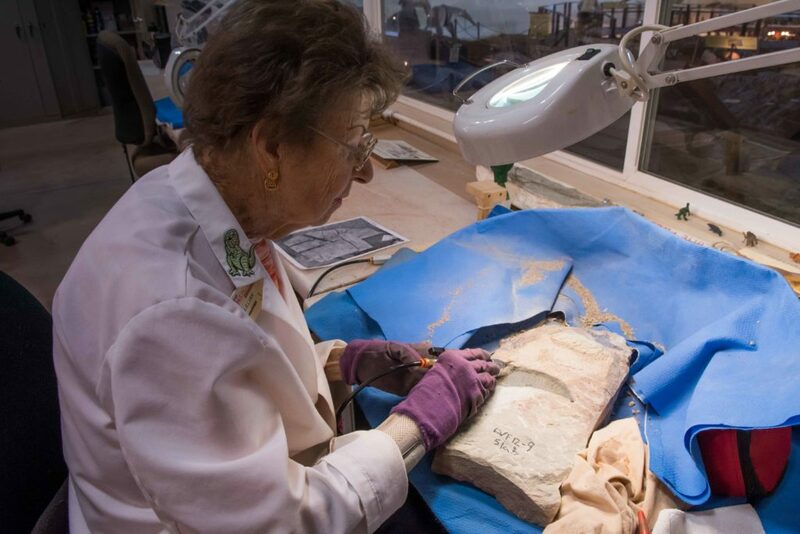 Following the discovery, Johnson sold and gave away a few sandstone blocks to friends for their landscapes, but soon, Johnson and his wife, LaVerna, realized these track fossils and natural casts should be retained for educational and scientific purposes. The Johnsons worked to set aside the farm and its fossils and worked with other donors to arrange for the land to be cared for by the city of St. George. 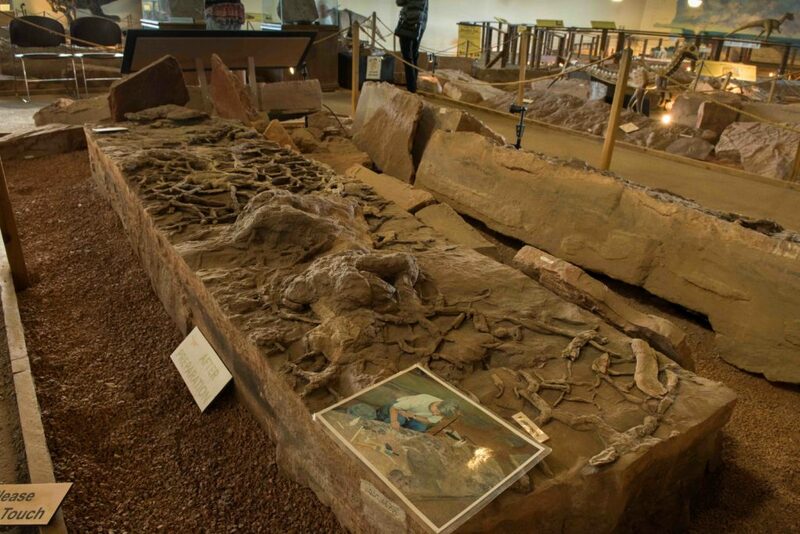 The large display slab contains the first find of thousands of trackways, swim tracks and fossil fish found in the shallows of the ancient Lake Dixie. Geologists have determined that the lake’s boundaries extended approximately from St. George east to Colorado City, Arizona, and Cedar City south to the middle of Arizona. “The site has become a training ground for the world,” Milner said. 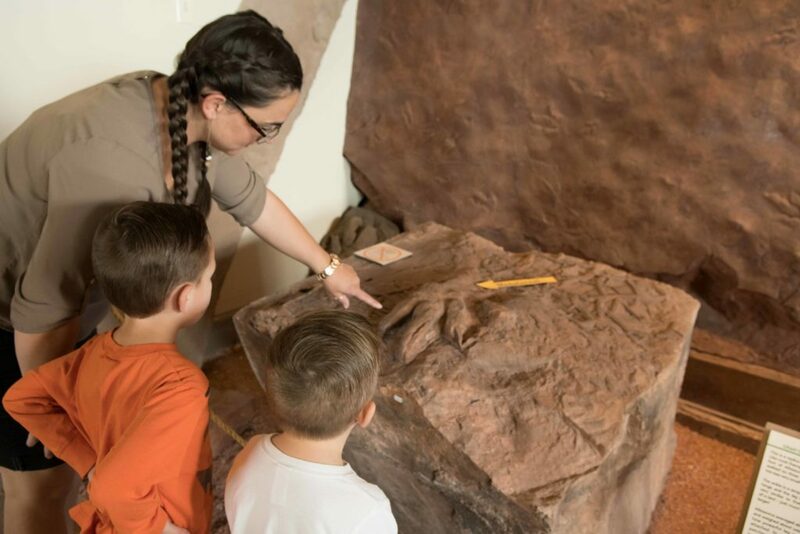 Not only are the trace fossils extremely valuable because they give more information about behavior than do bone fragments, they also provide natural castings made in lake mud. 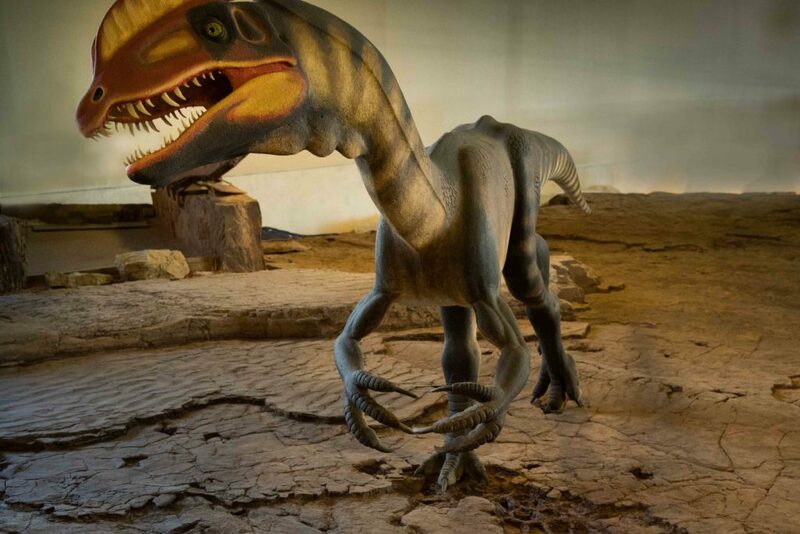 News of the discovery spread through the paleontology world as soon as a building covered the site in 2005. Scientists came from all over the globe. Scientists are looking for new details that change or confirm the picture they have of the Jurassic Earth. They come to observe the long trackway exhibited in the museum. They photograph and measure from every angle the slabs that contain hundreds of fossils and tracks. 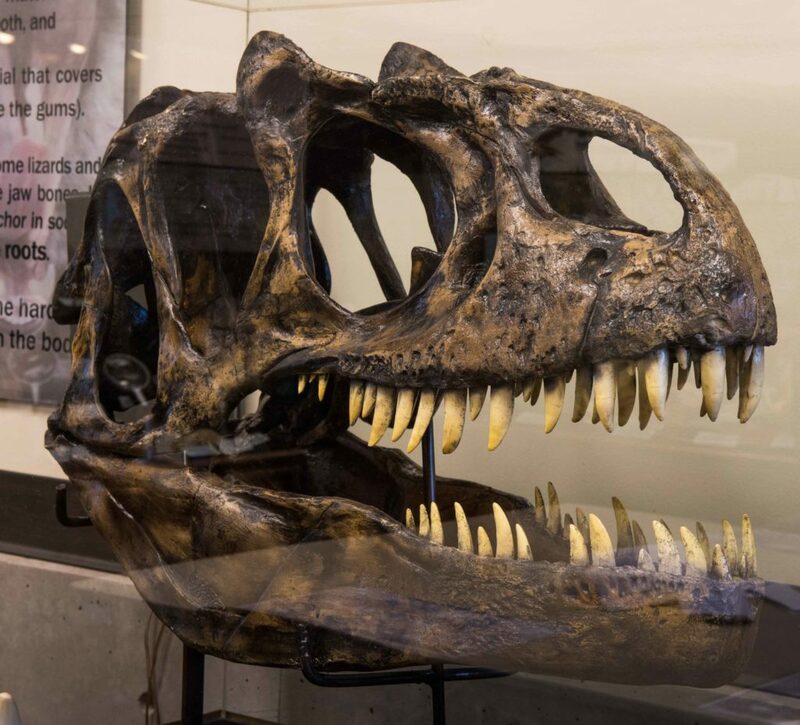 With help from a 3-D computer program and photogrammetry, they calculate the stride, size, weight and habits of the prehistoric animals. 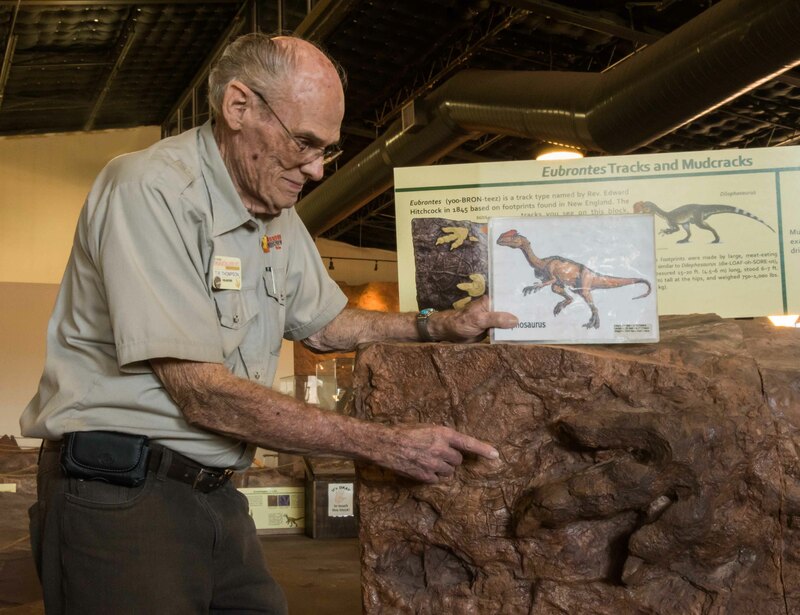 Visitors to St. George Dinosaur Discovery Site are usually impressed by the buzz of activity still taking place at the site, including a real paleontologist. Milner’s job is complex. He is not only in charge of the museum preparation laboratory but also assists with museum exhibits. Milner lectures and gives tours to school groups and the general public. But he said that it is the fieldwork as a paleontologist that he loves the most. Zielke volunteers three days a week precisely buzzing off thin layers of stone with a microair-abrasive blast system similar to that applied by some dentists. This is a far cry from the erroneous technique Johnson employed following discovery of the first stone slab to be donated to the museum. Wishing to clean it before donating it, Johnson sprayed a stiff stream of water to wash it. Paleontologists gasped and informed Johnson he had washed away and erased valued skin impressions. Using a more delicate approach, Zielke discovers a fossil fish that has spent what they calculate to be 200 million years covered in layers of sandstone. She is the first to see this new fossil. A Dixie State University intern and others also put in many volunteer hours at the site. They prep, stabilize and help wherever they are needed. Students often ask Milner how they can become paleontologists. Drawing, painting, sculpture and photography are all very important in paleontology, Milner said, especially when it comes to creating scientific illustrations of fossils and restorations of plants, animals and the environments in which they lived. 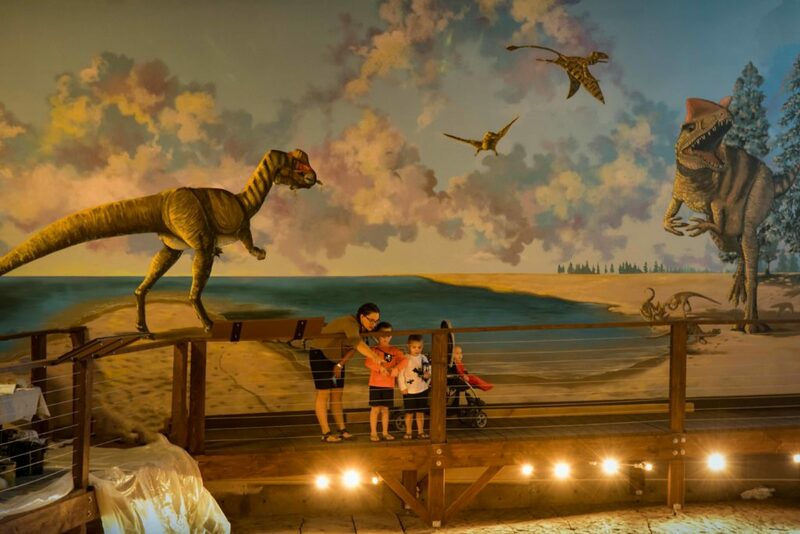 Speaking of the arts, another participant visitors might see at Dinosaur Discovery Site is local artist Susan Grove, who is creating a floor-to-ceiling mural depicting the Dixie lakeside environment and ecosystem. This painting includes large-as-life swimming dinosaurs, prehistoric fish and a natural habitat. A grand opening celebration for the mural is forthcoming. 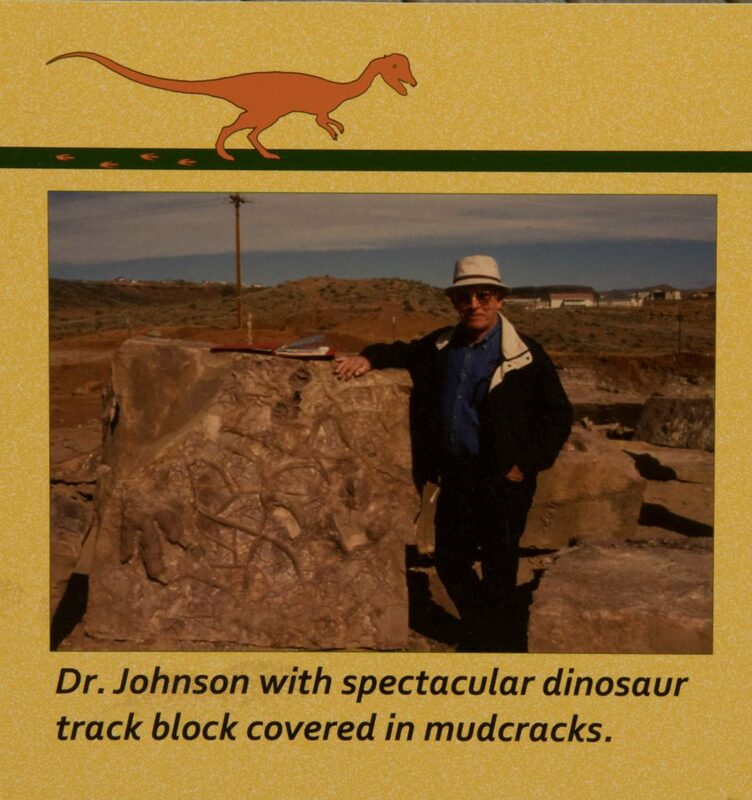 The discoverer of the dinosaur tracks, Dr. Sheldon Johnson, died in St. George in August this year, but his discovery will be sure to entertain young and old, experts and amateurs alike, for years to come. St. George Dinosaur Discovery Site at Johnson Farm is located at 2180 E. Riverside Drive in St. George. Winter hours (Nov. 1 – Feb. 28) are Monday–Saturday from 10 a.m.-5 p.m. and Sundays from 11 a.m.-5 p.m. The museum is closed on Thanksgiving Day, Christmas Day and New Year’s Day and may be closed early the evening before these holidays for special events. Be sure to call ahead to confirm times at 435-574-3466. Admission is: adults, $6; children ages 4-11, $3; and children under 4, free. Call for group rates or special tour groups. Warner Valley Dinosaur Track Site is located on Bureau of Land Management property in the Warner Valley area of St. George. To visit the Warner Valley site, drive south on Washington Fields Road, cross under Southern Parkway and continue east onto a dirt road 9.7 miles. Signs will guide visitors to a parking space. Once parked, follow a short hiking trail to this pristine track site. The quality of the trackway is astonishing. 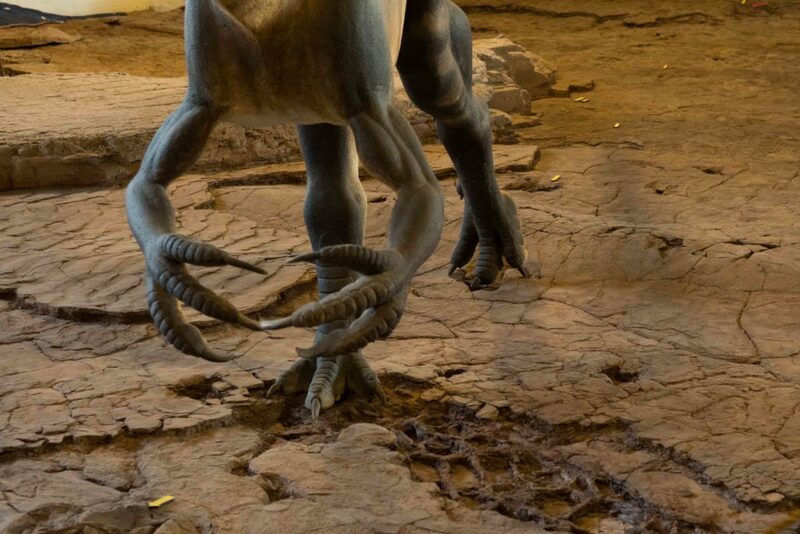 Approximately 400 dinosaur tracks can be found at this site either in trackways or as isolated footprints. The larger tracks are Eubrontes (you-bront-tees) and the smaller tracks are grallator (gral-uh-tore). Additionally, those looking for tracks can visit Red Hills Desert Garden, located at 357-469 Red Hills Parkway, St. George. Besides the desert gardens displayed, there are native fish in the stream and aquarium. Visitors will discover tracks embedded in sandstone blocks excavated at the time the garden was created. Follow the walkway and discover the fossils on track slabs in the garden. 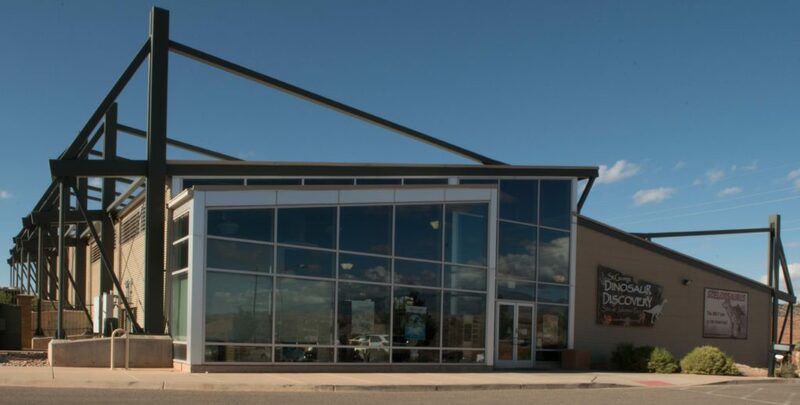 I write my stories for people who say, ‘What is there to do around St. George?’ and for new folks just moving into this area. Kathleen Lillywhite is a published author who enjoys writing everyday stories. She and her husband, Jim Lillywhite, are a photography team who live, love and enjoy the vistas surrounding St. George, with Jim serving a photography mission for The Church of Jesus Christ of Latter-day Saints. The Lillywhites have lived in the St. George area since about 2000, loving every day of it. Hey another great read. We visited the museum with the grandkids and drove out to the farm. I wish I had all this insightful information prior to the visit.